Rosemary M. Magee, vice president and secretary of Emory University, has been named director of the university's Manuscript, Archives, and Rare Book Library. "MARBL is a place that honors and treasures the past, but it's a place that brings the past into the present; and it's also a place that brings us all into the future, as we experience these materials in ever-new ways." 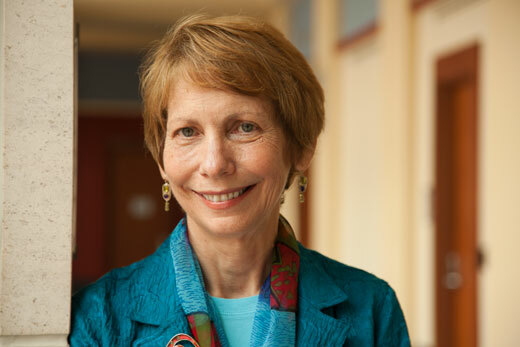 Rosemary M. Magee, vice president and secretary of Emory University, has been named director of the university's Manuscript, Archives, and Rare Book Library (MARBL). One of the university's centers of excellence, MARBL acquires, preserves and makes available to the scholarly community rare and unique materials of permanent research value. "Rosemary Magee brings a deep knowledge of Emory, a strong understanding of MARBL's centrality, a willingness to work with stakeholders and a love for the mission," says Emory Provost Earl Lewis. "Under her tutelage, MARBL will be positioned for even greater leadership in the manuscripts, archives and rare books world." "With her academic background in literature, Rosemary has been involved with the archives as a teacher and scholar," says Richard Mendola, interim vice provost and director of Emory Libraries. "She already has been actively promoting MARBL and enhancing the collections." One of the most visible ways Magee has been involved with MARBL is through serving as host for a series of innovative one-on-one public conversations with distinguished visiting writers, says Ronald Schuchard, faculty advisor to MARBL. Magee has conducted "Creativity Conversations" on the origins and nature of the creative process with a wide range of international literary figures, including Salman Rushdie and Seamus Heaney, both of whose papers are at MARBL, Umberto Eco, Philip Glass, Edward Albee, Dan Gioia and Margaret Atwood, among others. Magee will continue to serve as secretary of the university for the coming year in order to identify a new vice president and secretary of the university. Appointed vice president and secretary of the university in 2005, Magee has worked closely with Emory trustees and the president in developing and strengthening governance processes across the university and in setting the agenda for the future. She is a member of various university-wide committees and chairs the Creativity and Arts Initiative of the University Strategic Plan. Previously, Magee served as senior associate dean of Emory College, where she had primary responsibility for the college's annual operating budget and for planning new and renovated facilities, including the Donna and Marvin Schwartz Center for Performing Arts, Candler Library, and the Mathematics and Science Center. She chaired the Steering Committee for the Arts at Emory, a diverse group of faculty and staff that set an ambitious agenda for the arts at Emory. She has extensive fundraising experience, successfully seeking support for programs and projects across the curriculum from a wide range of individuals, foundations and governmental agencies. An artist-in-residence at both the Hambidge Center for the Creative Arts and Sciences and the Tyrone Guthrie Centre in Ireland, Magee has published essays, reviews and short stories in a variety of journals and literary magazines. Among her publications are articles on several of the writers closely associated with MARBL, including Flannery O'Connor, Salman Rushdie, Alice Walker and others. She also has edited two volumes, both published by University Press of Mississippi: "Conversations with Flannery O'Connor" and "Friendship and Sympathy: Communities of Southern Women Writers." Magee holds a Ph.D. in literature and religion from Emory's Graduate Institute of Liberal Arts. In recognition of outstanding service and leadership, she received the Thomas Jefferson Award in 2008, among the highest awards given by Emory. She is also a past participant in the Harvard Institutes of Higher Education and Leadership Atlanta.